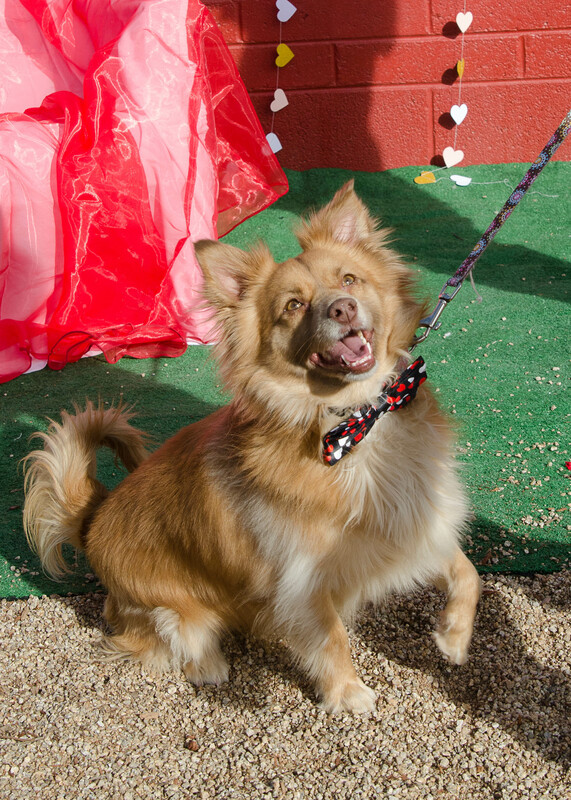 Luca is a two-year-old long-coat Chihuahua mix weighing in at a chunky-monkey 24 pounds. He knows he is an irresistibly foxy boy, and his sweet puppy face will make you want to reward him with treats just for being so dang cute. Luca will use his looks and charms to get away with whatever he can, just like any typical teenager. He needs an experienced owner who will give him boundaries and structure. He will learn that he is not the one in authority and that by following consistent guidelines set by his owner he can reap the rewards of love and affection. Luca is a smart boy that does want to please. He knows the cue to sit, plays fetch, and enjoys romping with his doggie friends. Luca loves being taken out on walks and he will strut about town. You can meet Luca at Home Fur Good, Thursday, Friday or Saturday between 11 – 4. The shelter is located at 10220 N 32nd Street in Phoenix. His adoption fee is $225 and includes spaying/neutering, age-appropriate vaccinations and microchipping. 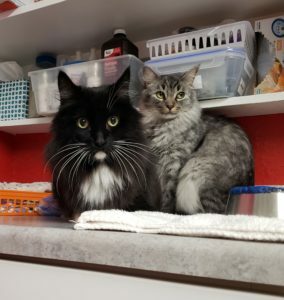 You can see all the pets available for adoption at homefurgood.org. She is a one year old, 45-pound, Pitbull mix. Brooklyn has gone through Basic Obedience Class. She knows the basics cues like sit, down and loose leash walking. Brooklyn is treat motivated and aims to please, so training comes easily. Brooklyn loves to hike and has started her own peak bagging list. She is dog selective, enjoying larger dogs that like to rough house. 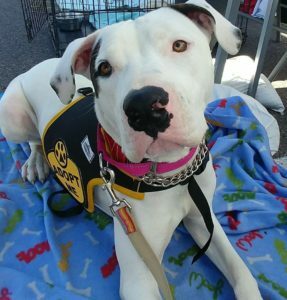 Brooklyn would be happy in a family with one parent or one full of kids, she only wants to be an active member. Home Fur Good is located at 10220 N. 32nd Street in Phoenix. The shelter is open Thursday, Friday and Saturday from 11-4. You can call HFG at 602-971-1334. Visit the website at www.homefurgood.org. Kettle is a very people-oriented doggie. He thrives when taken out for social interactions and activities. The calendar says that Kettle is seven years old, but no one has told him that. He is energetic and loves to be active and on the move. Fetch is his game and his feet start to dance when he sees the leash. 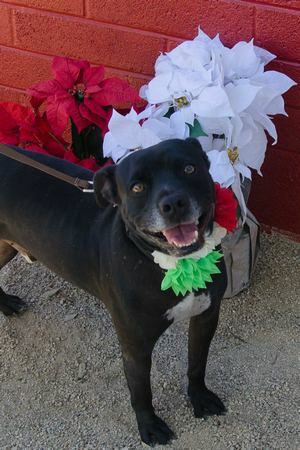 He is a 35 pound Staffordshire terrier mix, perfect to fit on a lap for snuggle time or to take out on an adventure. Home Fur Good is located at 10220 N. 32nd Street in Phoenix. The shelter is open Thursday, Friday and Saturday from 11-4. You can call Home Fur Good at 602-971-1334. If you would like the privilege of living with a cat that knows they are the superior being, then Ginger is your girl. Ginger was born on January 21, 2014 and she will allow you to feed her, play with her and scratch her under the chin until she decides otherwise. 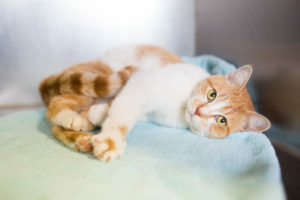 Ginger can be very loving and playful and then she will decide she needs alone time. 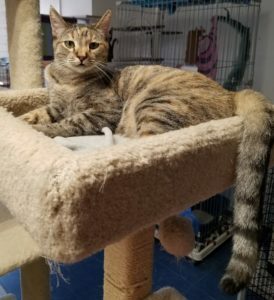 Ginger does ask that she be the only cat in her forever home, since there can only be one ruler. You can meet Ginger at Home Fur Good, 10220 N 32nd Street, Phoenix, Thursday through Saturday from 11am-4pm. If you have any questions please call 602-971-1334. 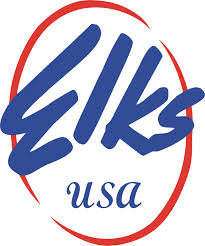 The Benevolent and Protective Order of the Elks (BPOE) takes on a very active task in supporting communities locally, throughout Arizona and on a national level.Â Elks Lodge #335, located on North 32nd. Street, is a hidden gem right here in our own neighborhood. This Lodge has many members whose mission is to help build a strong community.Â These members contribute and support such local programs as Veteranâ€™s Dinners;Â The Thanksgiving Basket Program which provides food baskets for Veterans and their families; Dinners for our local Law Enforcement Officers and Fire Fighters; Drug Awareness Programs; Scholarships; Childrenâ€™s Back to School Program providing new clothing and supplies for children; Young Readers Program; and programs that provide several local schools with dictionaries for their 3rd grade classrooms. Their newest program, the Single Parent Relief Project, will offer support and assistance to single-parent families in need.Â On The First Saturday of each month these families will be welcomed into the Lodge for a hearty breakfast and each will be assisted with food, baby supplies, school supplies and more. The objective will be to assist 20 families in 2014.